New power sector priorities are emerging across Africa, including financing of major power projects, joining the dots between generation and the 650 million ‘power poor’, and becoming agile in a digital world, report the experts convening ahead of POWER-GEN & DistribuTECH Africa conference and expo. Pan-African and international power sector experts who met in Johannesburg last week to assess papers for the upcoming POWER-GEN & DistribuTECH Africa 2018 report that key power challenges and priorities have changed across Africa in recent years. 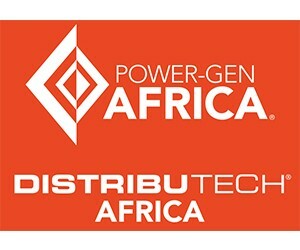 The POWER-GEN & DistribuTECH Africa advisory board, which meets annually to review papers to be presented at the conference, says there has been a clear change in focus in recent years. Where as recently as five years ago, the continent’s primary focus was on generation, there is growing urgency among players to address issues such as developing continent-wide, integrated strategies to deliver power to the estimated 650 million who still have no access to power. Utilities’ balance sheets and business models are also in the spotlight; as is the impact of digital technologies on the sector as a whole. “We see increased awareness that we have to take immediate action to bring stability to the sector, before we can look at growth. We have to stabilise the credit ratings and balance sheets, build investor confidence, and find ways to capitalise on the environment to remain relevant into the future,” he said. The power balance in Africa is also shifting, says Khanyiso Myataza, advisory board member and Business Development Manager - SADC Region, Power and Oil and Gas at Black & Veatch. “We’re seeing increased focus on reducing the reliance on South Africa as the major power producer and giving each region more power independence,” he says. Dr Jens Reich, advisory board member and Head of Sales of the Energy Technology Department of STEAG Energy Services GmbH, says the advisory board discussions highlighted issues such as integrating renewables across the continent, through to being more flexible with regard to operation and fuels; to digitalization, storage and batteries. These priority areas will be addressed by pan African and international speakers at the upcoming POWER-GEN & DistribuTECH Africa 2018.